Honda has revealed the first details of the 2019 HR-V sub-compact SUV. The company says the new model features enhanced exterior styling, updates to the interior and a range of advanced technologies. Upgrades to the exterior design include what is described as a more substantial interpretation of Honda’s ‘Solid Wing Face’ graphic, with a new, high-gloss dark chrome panel that replaces the black-and-chrome combination above the grille. The front bumper features deeper air intake sections that house circular fog lights, and the headlights now have projector lenses with redesigned LED daytime running lights as standard. At the rear, a dark chrome garnish across the tailgate mirrors the new trim at the front, and the rear lights sit within darker lens casings. Higher-grade models feature a new 17-inch alloy design, and the exhaust tailpipe has a chrome finisher. The headlights and rear lights are upgraded to full LED units, and the rear casings are enhanced with dark ‘smoked’ effect. Honda’s Magic Seat system is carried over. Redesigned seats for the driver and front passenger incorporate changes to the seat cushion and back rest, providing enhanced overall support – especially for the shoulder area. The standard fabric upholstery now uses a higher-quality material, while top grade models feature a full leather interior as standard. From launch, the 2019 Honda HR-V will be available with the 1.5-litre i-VTEC naturally aspirated petrol engine. Production of 2019 HR-V 1.5L i-VTEC variants has started with deliveries commencing from October. 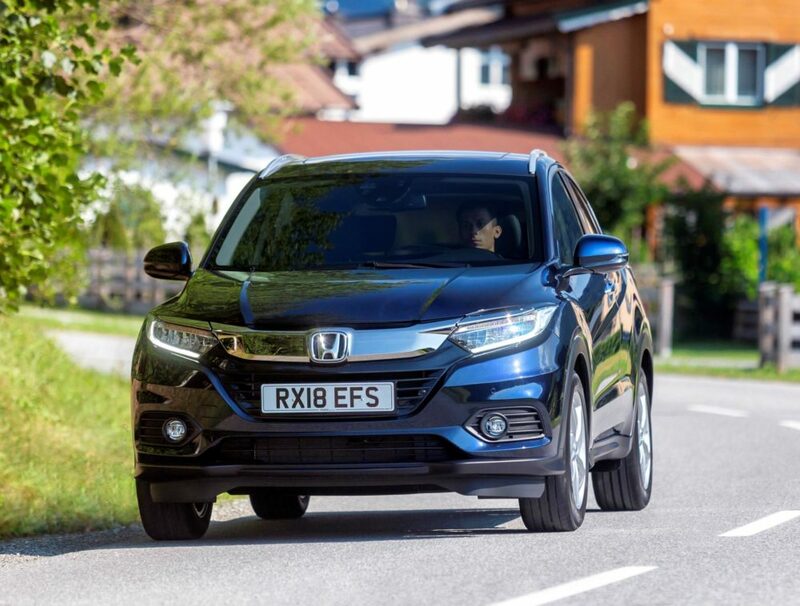 A sportier, 1.5L VTEC TURBO engine will follow with availability from spring 2019, alongside a 1.6L i-DTEC diesel engine.